Those unfamiliar with Hawaiian music and who may be hearing it for the first time often fall in love with one or more aspects of what makes Hawaiian unique – the steel guitar, slack key guitar, `ukulele, or falsetto singing and the unique harmonies that style promotes. And those just beginning to amass a collection of Hawaiian music CDs or MP3s may wonder what the quintessential recordings might be. What are the must-hear falsetto or slack key recordings? Where does one begin? In “The Starter Collection,” Ho`olohe Hou Radio creator/host Bill Wynne discusses the finer points of Hawaiian music and the recordings that hooked him on this unique style more than 40 years ago. 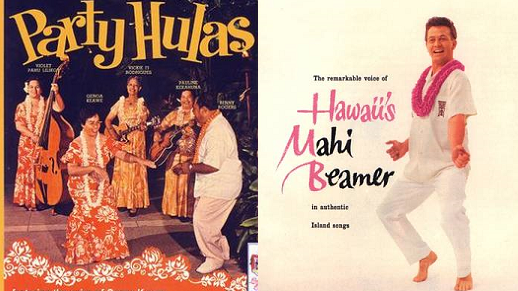 In addition to the classic, Wynne will also discuss a few forgotten treasures which might be more difficult to find but which he considers essential additions to any Hawaiian music collection. Stay tuned to Ho`olohe Hou Radio as “The Starter Collection” airs throughout each month.